Heat treating is a growing sector of the metal finishing industry. According to data gathered by IndustryNet on 454 companies employing heat treating processes, jobs have increased by 0.71 percent. An even more substantial jump in sales has been seen at 8.06 percent. Heat treating is used to alter the characteristics of metal, such as hardness and workability. Hardening processes for metal have been utilized since 1400 B.C. The first iron foundries began in Cambria, U.K., around A.D. 1700. Before the development of modern techniques, blacksmiths used heat to aid them in their trade. Softened metal was formed into the desired shape, then quickly cooled or quenched. This technique both increased the hardness and decreased the brittleness of the metal. Though the underlying principles remain the same, the technologies of heat treatment have advanced. Multiple modern pathways have emerged. One option involves changes in the processes themselves. An example is a technique known as low-pressure vacuum carburizing in which reduced pressures are used to improve dimensional control on parts such as gears. Another significant change is the continuing development of more environmentally favorable practices and equipment. Increased thermal efficiencies from methods such as electrical resistance and induction lower energy usage. Additional controls can lower the emissions of gases such as nitrogen dioxide. The companies highlighted here illustrate how modern heat treating contributes to U.S. manufacturing. They serve a wide range of industries from aerospace to energy. 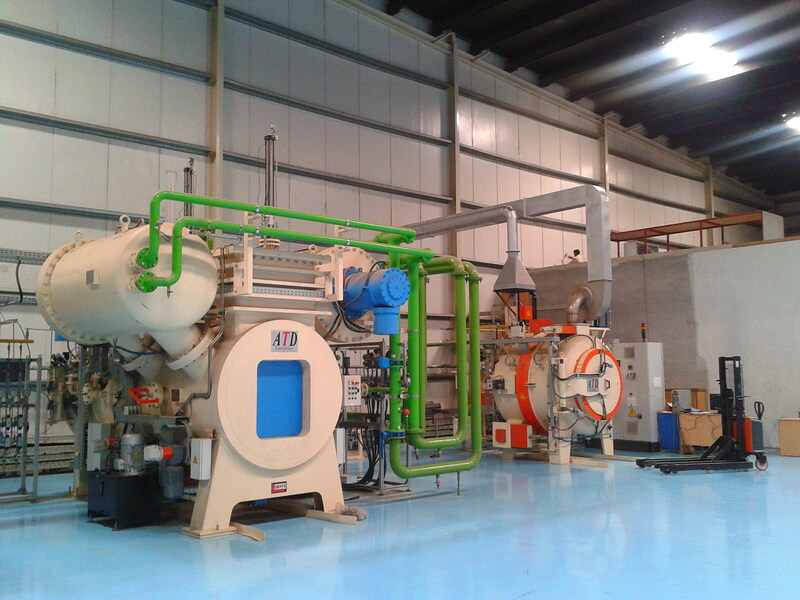 Heat treatment may be executed on-site or within a facility. With 450 employees in Pasadena, Texas, Team Industrial Services Inc. is the largest field heat treater in the world. Its professionals choose from low-voltage resistance, combustion and rapid induction. The company takes care that the method selected is within the budgetary constraints of its customers. For businesses with large parts to heat treat, the 400 employees of T C Industries Inc. in Crystal Lake, Illinois, provide solutions. This company can handle bars and tubes up to a 12-inch diameter. T C can also process plates up to 96 inches wide. This company has 80 years of experience in the industry. The facility of Bolttech Mannings Inc. in Theodore, Alabama, employs 200 workers. 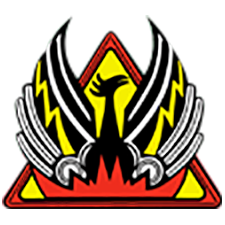 The company utilizes induction, resistance and combustion. Treated parts include nuts, bolts and tubes. Chem-Plate Industries Inc. with 200 employees in Elk Grove Village, Illinois, has embraced multiple types of cutting-edge technology. In addition to carburizing parts, it offers carbon-nitride hardening. Its state-of-the-art furnaces are capable of handling 4,000 to 7,500 pounds of pieces per hour. Computer systems control loading, processing and tracking of jobs. Heat Treating Services Corp. serves large volume machiners and manufacturers of rough castings and forgings. The company was founded in 1978 and has strategically located facilities to accommodate the automotive and other industries that use large numbers of metal components. Plant #1 in Pontiac, Michigan, employs 200 workers. Preparing metals to stand up in harsh environments is a specialty of the 175 employees of Bluewater Thermal Solutions in Northlake, Illinois. The company provides a full array of heat treating services. Its customers include the aerospace, heavy equipment, automotive, energy and agricultural industries. Nadcap-accredited Astro Aluminum Treating Co. employs 160 workers in South Gate, California. The company can treat rings with diameters up to 15 feet and linear parts up to 30 feet long. Its clients include Cessna, Alcoa, Raytheon and Rolls Royce. The 150 employees of Superheat FGH Services Inc. in New Lennox, Illinois, are exclusively dedicated to on-site services. Its Superheat Smartway™ system is designed to reduce the time required for a job, minimize costs and improve quality. Superheat serves oil refineries, fabricators, chemical processors and conventional and nuclear power plants. Team Industrial Services Inc. provides 150 jobs in South Roxana, Illinois. As with the Pontiac, Michigan, plant referenced above, it offers three different types of heat treatment. Also, this company assists their customers in asset management through inspection, maintenance and repair services. At the Parker Trutec Inc. plant in Springfield, Ohio, 150 employees provide chemically advanced heat treating services. Its techniques include gas carburizing. This company will design processes based on customer specifications. Both T C Industries Inc. at 600,000 square feet and Chem-Plate Industries Inc. at 250,000 square feet, profiled above, are leaders in both numbers of employees and size. Hi TecMetal Group Inc. maintains a state-of-the-art materials laboratory in their 300,000-square-foot facility in Cleveland, Ohio. The company is Nadcap-certified. Its markets include automotive, aeronautics, hydraulics and original equipment manufacturers. A worldwide top provider of heat treating services, Bodycote Thermal Processing Inc. maintains a 300,000-square-foot facility in Melrose Park, Illinois. Its services include carburizing, carbonitriding and specialty stainless steel processes. The company can handle a wide range of component sizes. In its 250,000-square-foot facility in York, South Carolina, FOMAS Group Inc. has developed a system to predict the deformation of parts during heat treatment. The company conducts technical evaluations on new processes. It also maintains an ongoing training program for its personnel, to enable them to remain current on industry innovations. Team Industrial Services Inc., Parker Trutec Inc. and Bluewater Thermal Solutions, all cited above, are leaders by both the number of employees, and in job and/or sales growth. Ameritek Heat Treating LLC in LaPorte, Texas is a leader in on-site heat treatment. It employs high-voltage processes. Marine, refining and petrochemical are among the industries Ameritek serves. Since 1980, Century Sun Metal Treating Inc. has been providing heat treatment for the metalworking industry in Traverse City, Michigan. This company is ISO 9001:2000 and AS 9100 registered. It is also Nadcap-certified. Hudapack Metal Treating Inc. in Elkhorn, Wisconsin, is the heat treatment choice for leading industrial companies. The facility completed an expansion in 2013. The additional space accommodates a new oil quenching line. Hudapack provides a full range of modern heat treating services. Celebrating 50 years in Phoenix, Arizona, the facility of Phoenix Heat Treating Inc. features innovative automation. It has grown from a small shop in the Midwest to a significant western heat treating provider. The company's expertise encompasses processes for many alloys of steel and aluminum. 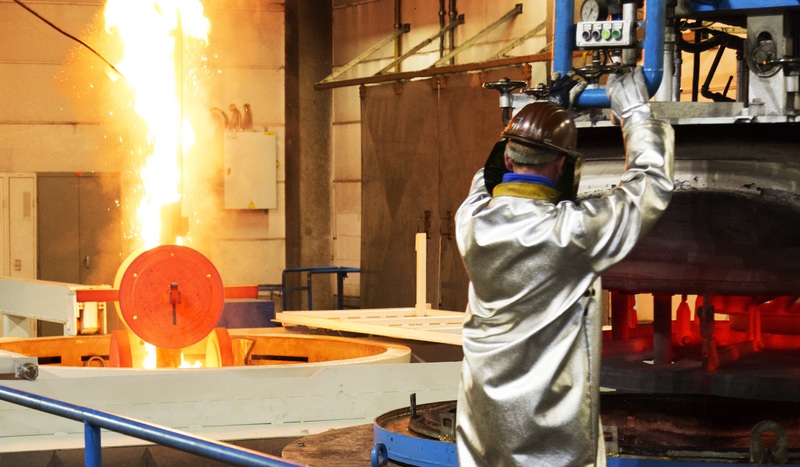 The specialty of HTI Inc. of Logansport, Indiana, is austempering, a hardening technique in which parts are quenched in a molten salt bath, to produce superior hardening. The company uses the most advanced equipment available for this process. Prices offered by hti are competitive with those of vendors providing other hardening methods. The Nitrex Inc.-Indiana Operations facility in Franklin, Indiana, is one of five U.S. Nitrex heat treating plants. This company can handle parts of near-microscopic size up to loads weighing 55,000 pounds. Its advanced processes address the treatment of objects as simple as blanks, to those as complex as aircraft components. Since 1968, ThermoFusion Inc. has been offering heat treating services in Northern California. Its Hayward facility opened in 1972. The company has been continually incorporating new technologies as they have emerged and adopted environmentally friendly parts-washing techniques in 2014. Sorting through the vast array of services offered by heat treatment providers can be a daunting task. IndustryNet maintains up-to-date information on over 400,000 manufacturers and suppliers of more than 10,000 products and services. Businesses can utilize a free online search to compile a list of conveniently located shops offering the types of treatment that meet their needs. Customers can readily request a quote and contact vendors directly or through social media. Related Companies: Ameritek Heat Treating, LLC, Astro Aluminum Treating Co., Inc., Bluewater Thermal Solutions, Bodycote Thermal Processing, Inc., Bolttech Mannings, Inc., Century Sun Metal Treating, Inc., Chem-Plate Industries, Inc., Heat Treating Services Corp., Plt. 1, HI TecMetal Group, Inc., hti Inc., Nitrex, Inc.-Indiana Operations, Parker Trutec, Inc., Phoenix Heat Treating, Inc., Superheat FGH Services, Inc., T C Industries, Inc., Team Industrial Services, Inc., Team Industrial Services, Inc., ThermoFusion, Inc.